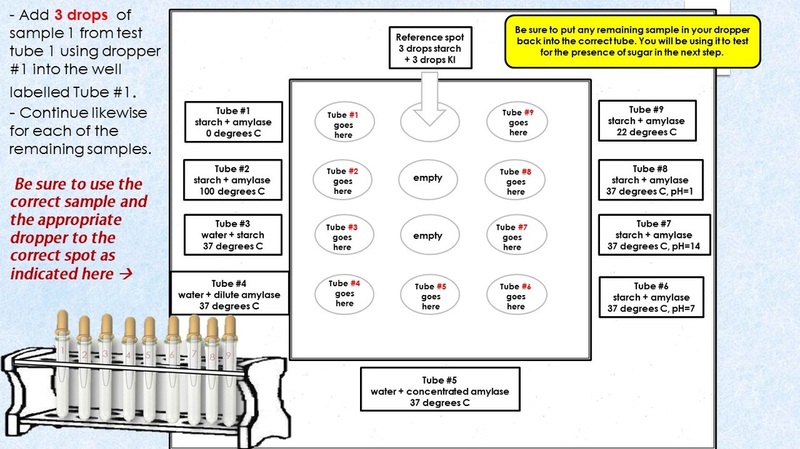 Short Video on The Cell Cycle! Your life began when a sperm, Verne the Sperm, met the love of his life, Meg the Egg! The sperm gave the egg a package that was full of DNA. You started out as a tiny, humble single cell called a zygote. From that single cell, you grew to the wonderful person you are today! IN YOUR BODY... Millions of cells divide every second. ​ Your body has ~100 trillion cells. That single cell, became you with your 100 trillion cells! That is a lot of cell division! ​This type of cell division is called MITOSIS. Mitosis is Divided Into 4 Parts. Think... Paco Made A Taco! 1) Prophase - The "P" in Paco, stands for Prophase! 2) Metaphase - The "M" in Made, stands for Metaphase! 3) Anaphase - The "A" in the phrase Paco Made A Taco, stands for Anaphase! 4) Telophase - The "T" in Taco, stands for Anaphase! Mitosis is only one small part (~10%) of the whole cell cycle. ​The rest of the cell cycle is called INTERPHASE. Why do cells undergo mitosis in the first place? Just like mitosis is subdivided into its 4 different parts (Prophase, Metaphase, Anaphase and Telophase), Interphase also has subdivision! Interphase is made up of the 3 parts, G1, S-Phase and G2! G1 is also known as Gap 1. G1, Is where the cell cycle BEGINS! It is a period of rapid growth of the cell. It duplicates its organelles and proteins to get ready for the next steps of the cell cycle! S-Phase is also known as Synthesis. 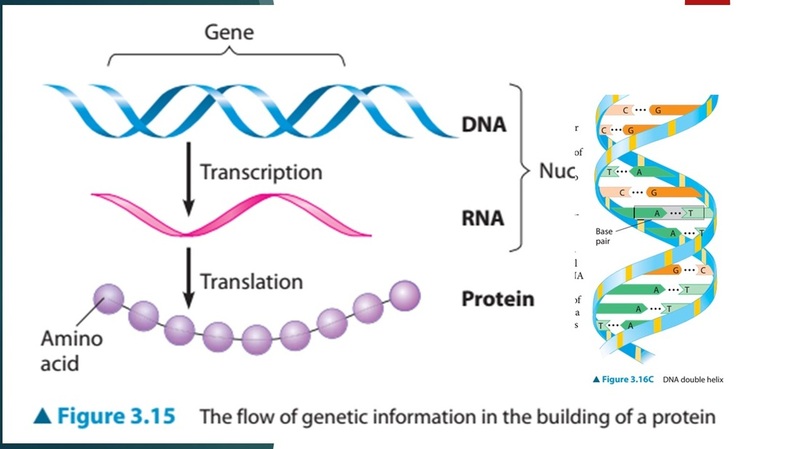 S-Phase, is where the genetic material gets duplicated or copied. 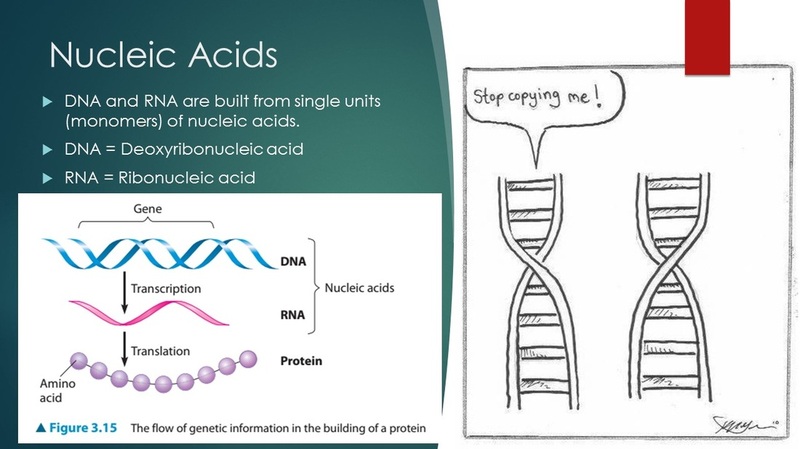 The DNA is not visible under a microscope at this point of the cell cycle. The DNA is still in the form of a double helix, but it is unwound and is too thin to be seen. 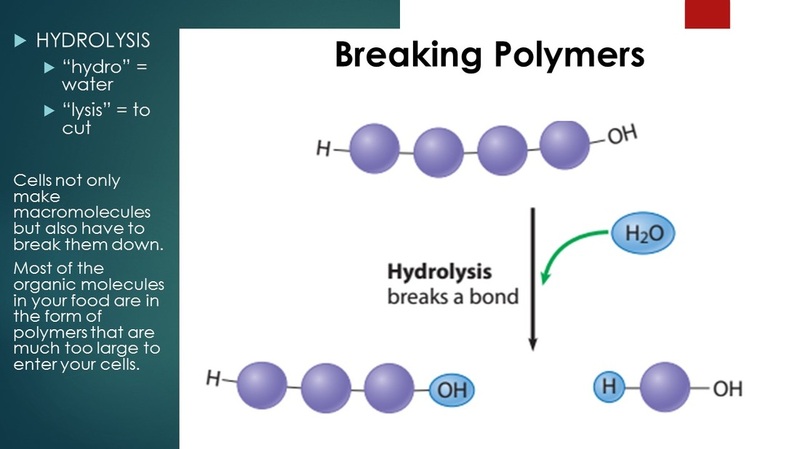 The DNA must be unwound at this point in order for the molecules that duplicate the DNA to get in close and do their job! G2 is also known as Gap 2. G2, is the final stage before mitosis begins. The cell grows even larger and makes the final proteins it needs to begin mitosis! After G2, the process of mitosis will begin. Mitosis is separated into 4 phases, as mentioned before. The very last part of mitosis is when the one cell becomes two daughter cells. ​The last "pinching off" of this seperation is called cytokinesis. 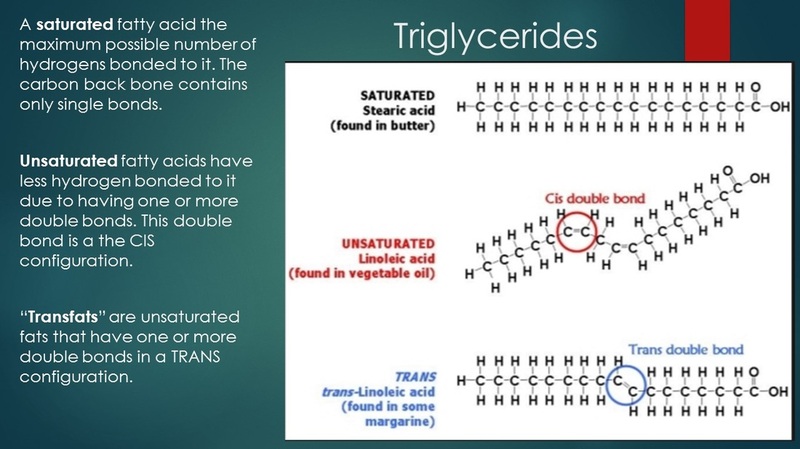 There is one more thing we need to know about the cell cycle. The cell cycle is not always going, because sometimes cells are not actively dividing. Cells that are not dividing, are stuck in the Resting Phase of the cell cycle, called G0 . Some Cells Divide A LOT! 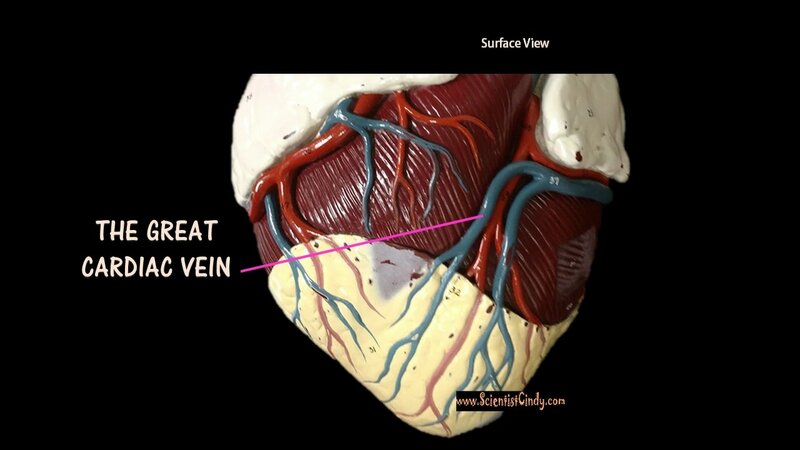 - The cells that line the inside and outside of our bodies, divide a lot since they . -The cells in the living layer at the base of the skin divide often to replenish the cells of the skin that are lost all the time. 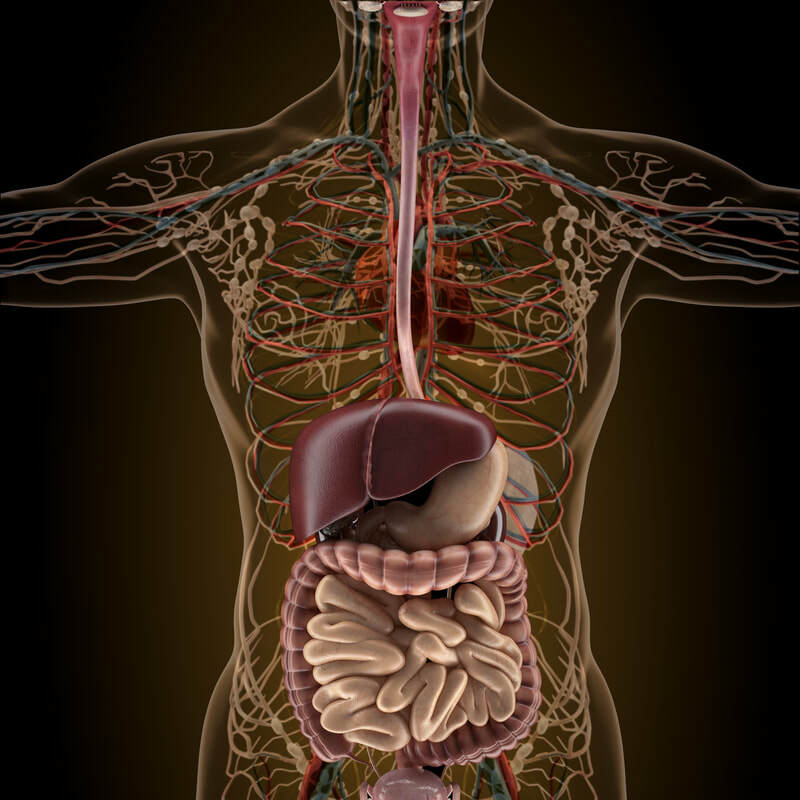 -The cells that line the digestive system, particularly the intestines are also rapid dividers. Other cells almost never divide! 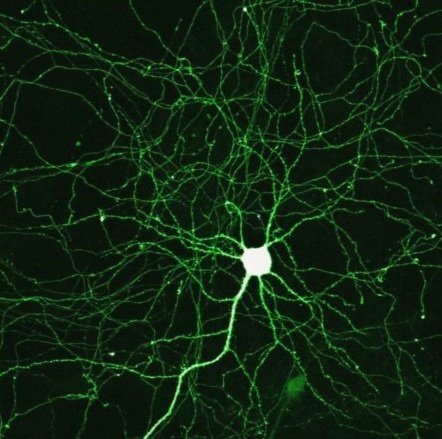 Neurons that are fully differentiated (fully mature) do not divide. Neural stem cells can divide just fine. So, why don't most neurons divide? There are 3 likely reasons. Actual Neuron Stained with Immuno-Fluorescence. differentiated are highly specialized and can be very large. 2) The brain responds to brain injury, by “rewiring” itself, and even reallocating lost functionality to new brain regions. 3) Therefore, the brain has found an alternative to replacing damaged neurons, so it does not need to have mature neurons divide. Nowhere is the “rewiring” ability of the brain more apparent than it is in the story of Cameron, a girl with half her brain. See the news clip of this amazing story at the link below. Cameron underwent a hemispherectomy procedure at Johns Hopkins Medical Center to treat extreme epilepsy. She had to teach her LEFT side of her brain, to take over the functions that the missing RIGHT hemisphere would have performed. Most notably, the ability to control the LEFT side of the body. 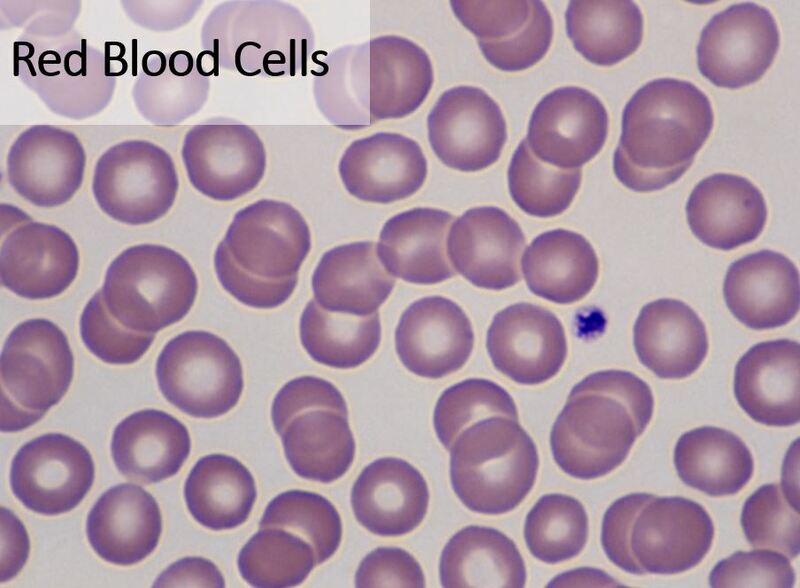 Red blood cells are very unique. 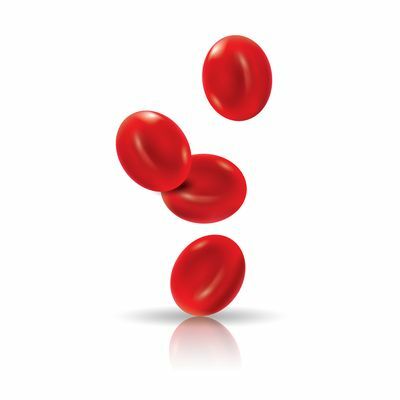 When they first form from stem cells, they are called hemocytoblasts. 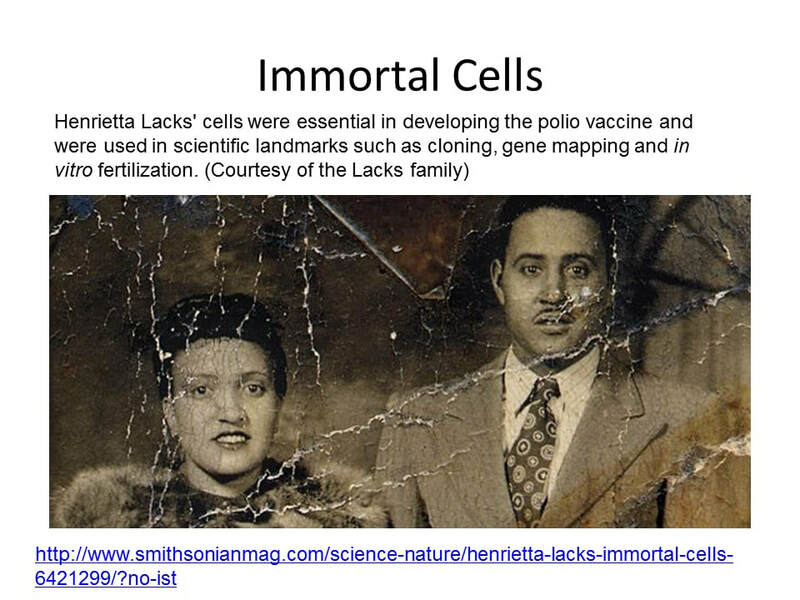 HeLa Cells - Henrietta Lacks and her "Immortal Cells"
​ Henrieta Lacks was a black tobacco farmer from southern Virginia who got cervical cancer when she was 30. A doctor at Johns Hopkins took a piece of her tumor without telling her and sent it down the hall to scientists there who had been trying to grow tissues in culture for decades without success. Henrieta's cells grew easily in culture and are still used today! Her cells continue to divide. Henrietta’s cells were the first immortal human cells ever grown in culture. They were essential to developing the polio vaccine. They went up in the first space missions to see what would happen to cells in zero gravity. When the cells were taken, they were given the code name HeLa, for the first two letters in Henrietta and Lacks. Today, anonymizing samples is a very important part of doing research on cells. But that wasn’t something doctors worried about much in the 1950s, so they weren’t terribly careful about her identity. 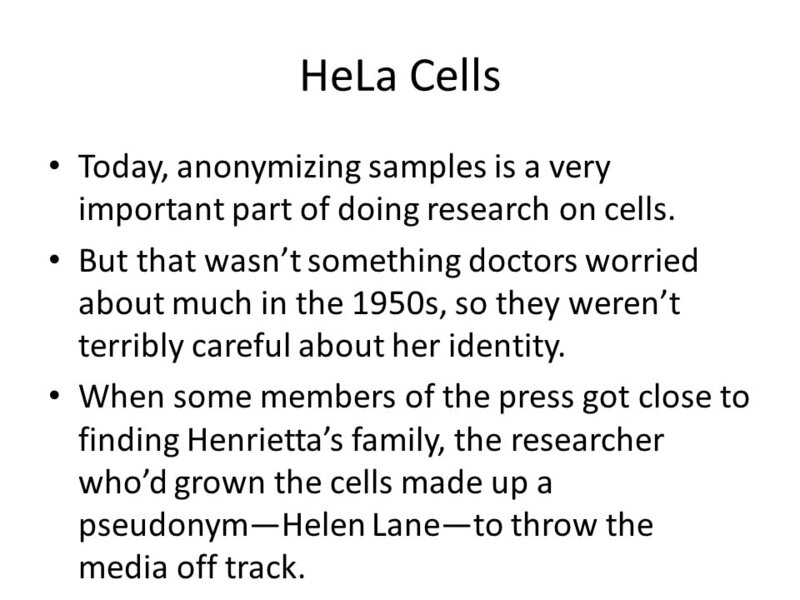 When some members of the press got close to finding Henrietta’s family, the researcher who’d grown the cells made up a pseudonym—Helen Lane—to throw the media off track.